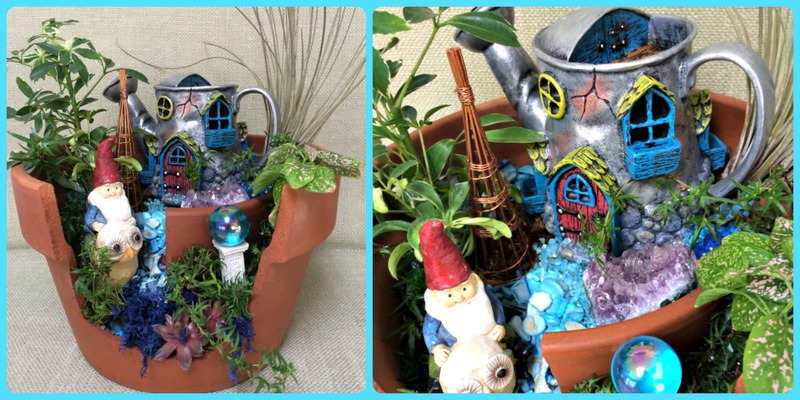 Broken clay pot gnome gardens are one of my favorites to create and people love seeing those little gnomes getting the perfect home. 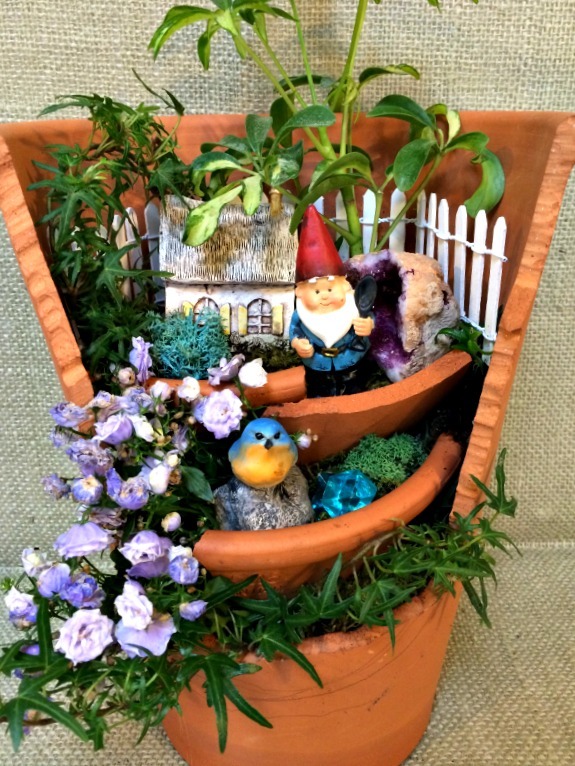 One of my most popular posts on The Garden Diaries was Gnome Home over a year ago, and has gotten more hits than any other post except for Decorating the White House, so I know that they are popular! This time, I thought I would delve deeper into the origin and history of gnomes and I came up with a few surprises. Garden gnomes go way back to 1870’s Germany where they were first sculpted out of clay by Phillip Griebel, a sculptor of terra-cotta animals, in the town of Graefenroda. Gnome legends were very popular in Germany and Griebel made Gnome statues that spread throughout Europe. They are still being made there today by Phillip Griebel’s descendants and knowing that, I just added a stop on my planned Germany trip. I would love to see their birthplace! You can tour their production facilities and see their informative museum. To see pictures, go to http://gardengnomeshome.com/gnome-directory/gartenzwerg-museum. Garden Gnomes are not without their controversy, and were banned from the high-class Chelsea Flower Show until just 2013. Accused of garden snobbery, Chelsea lifted their ban, caving to pressure, and started to allow these popular garden sculptures. 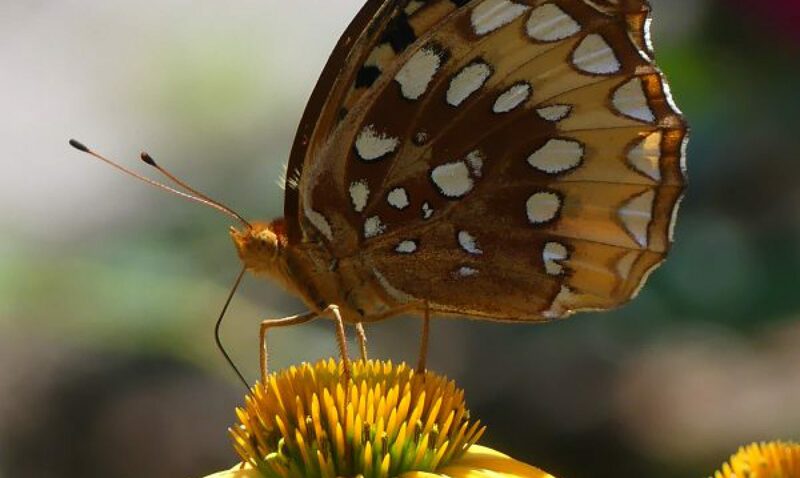 Serious gardeners don’t seem to appreciate these cute creatures, so I guess that makes me an amateur gardener! Also, gnomes are the subject of pranks, called gnoming, which is the return of gnomes to the “wild”. Many gnomes have been “liberated” or “kidnapped”, sent on trips around the world, and have become quite famous. The best known example was a kidnapped gnome taken from a garden in California, and it ended up being photographed with Paris Hilton in People magazine. These antics just add to the “tongue in cheek” appreciation of gnomes for me. I enjoy that people can have fun with gardening and gardening tchotchkes. There are many clubs and organizations dedicated to the prank of gnoming. The best-known of these is the Garden Gnome Liberation Front. Their website is hilarious and says that, “For too long we have let our neighbors usurp the rights of these gentle woodland creatures“. They entreat people to report any gnome in captivity! Go to http://www.youtube.com/watch?v=WaEh8EABR-s to watch a moving video. The hot spot of gnomes is Poland. More gnomes are made in Poland and China than anywhere else on the planet, even in Germany. 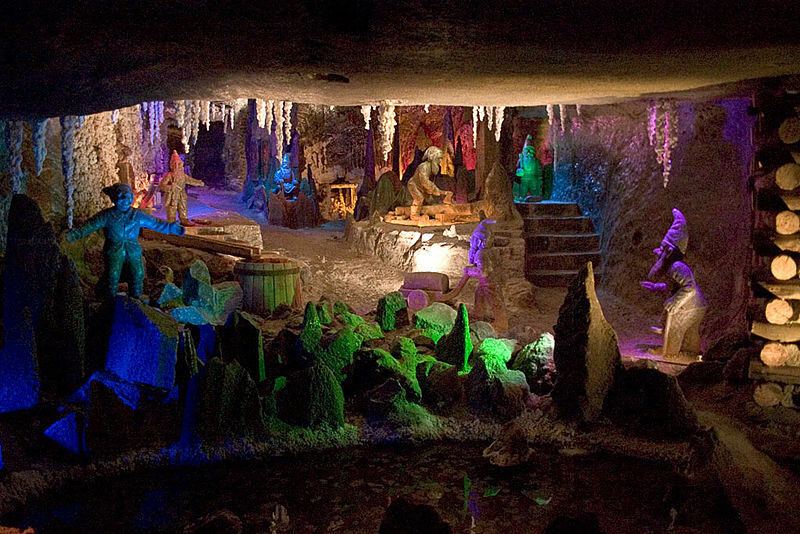 In the Wieliczka Salt Mine, called the Underground Salt Cathedral of Poland, gnomes were carved underground out of salt. Popular in Polish folklore, in Wroclaw Poland, gnome statues dot the city everywhere and have become a major tourist attraction. A legion of little people cast out of metals, are ubiquitous – in doorways, alleyways, and street corners, but easy to miss because of their size. You can actually do a tour of these gnomes which number over 250, and they have become one of the most popular tourist attractions in the city, more so than the magnificent cathedral. Back to making those gnome homes. Here is a tutorial on creating your own gnome habitat. If you don’t have a broken pot, you have to cut out your own, using a dremel tool. 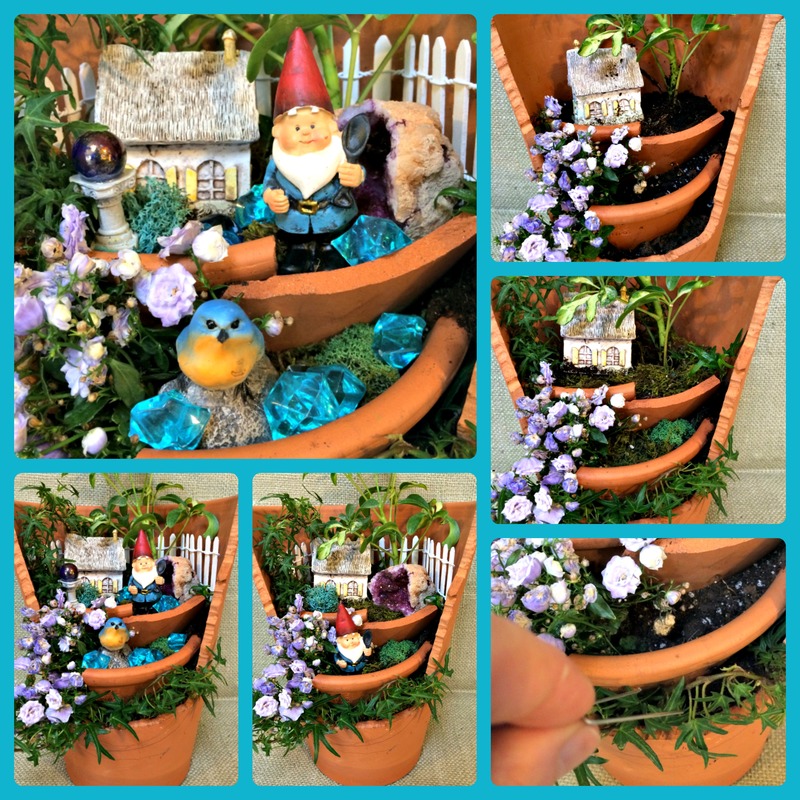 Add finishing touches-fences, gazing balls, geodes, tiny tools, and of course, your gnome! 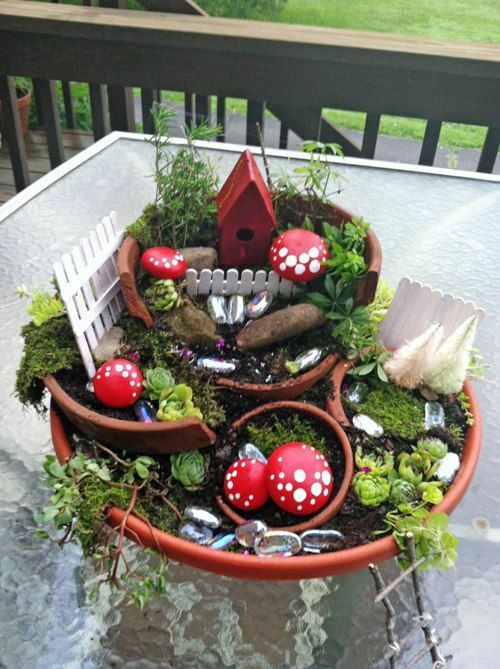 I like how she used various broken pots and sunk them into the larger container. Below is another of my broken pot gardens in a much wider pot to give you a totally different look. Reminds me of the movie Amelie! What a delightful post! I had no idea that Gnomes came from Germany. My Swedish mother-in-law let the Swedes take all the credit. Being German I am now proud to admit how much I adore the little fellows. 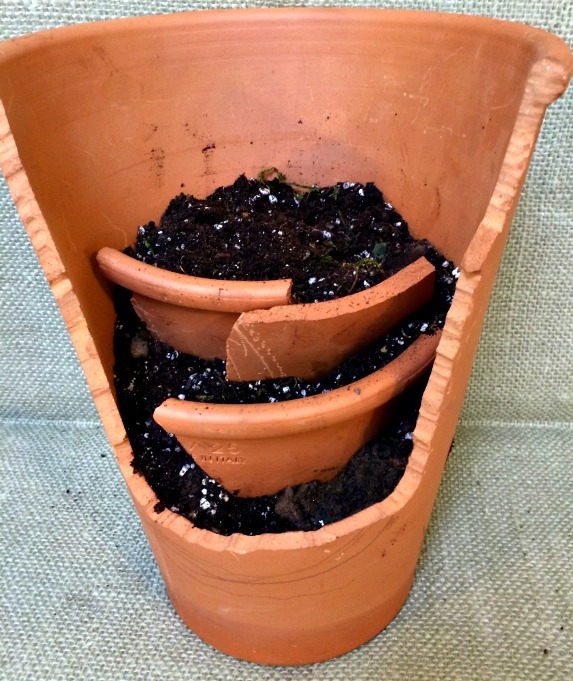 I like your step by step instructions on how to do the broken pot planter. I have no yard, only a balcony but will give this a try as soon as I can get out there. I’ll be pot hunting now. What fun. I envy your trip to Germany. Keep thinking about another myself and have been trying to brush up on my language skills. It’s been a long, long time. Thank you so much for this information. I have always loved gnomes and had no idea of the history of them until I started to research. You learn a lot from blogging! Thanks for reading! Those flowers are so cute, that I am always looking for them. Thanks for reading! Can I ask where you picked up the link to my blog? I am getting lots of hits and am not sure where people are picking it up.